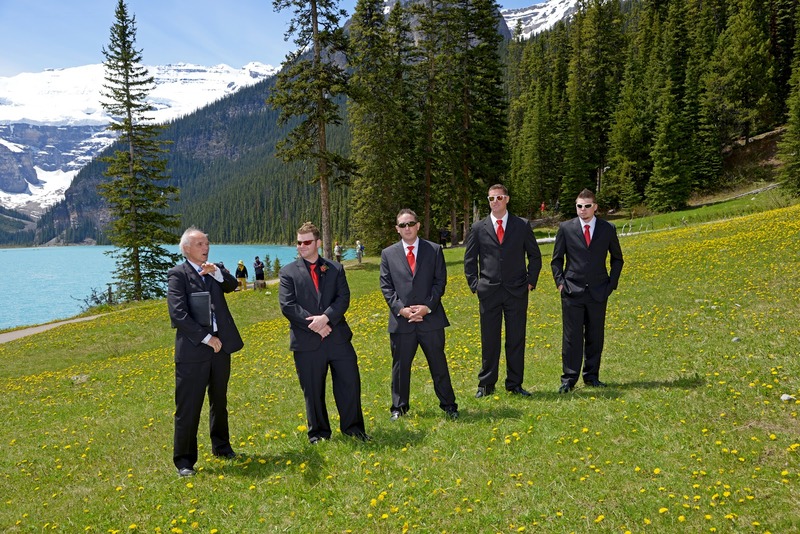 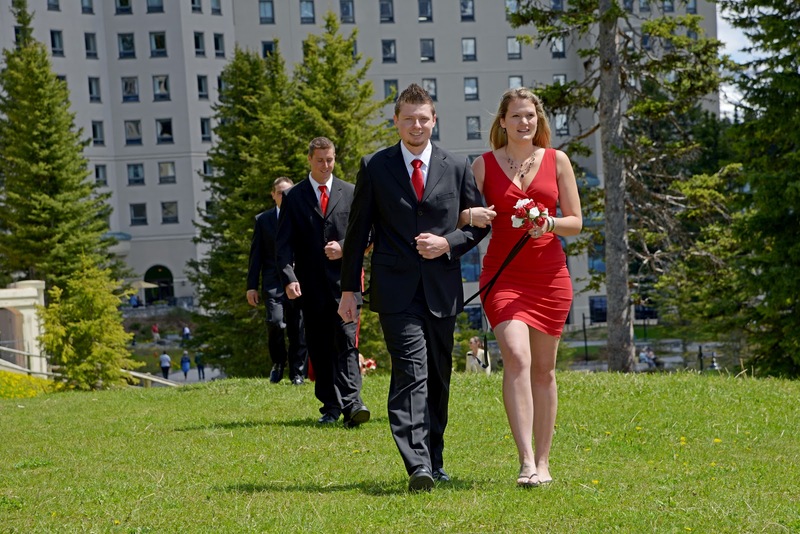 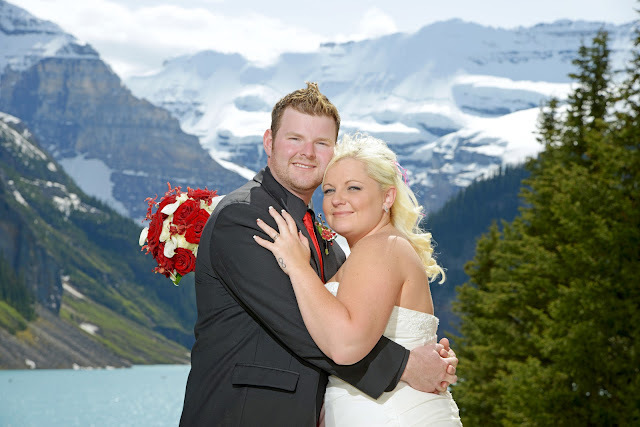 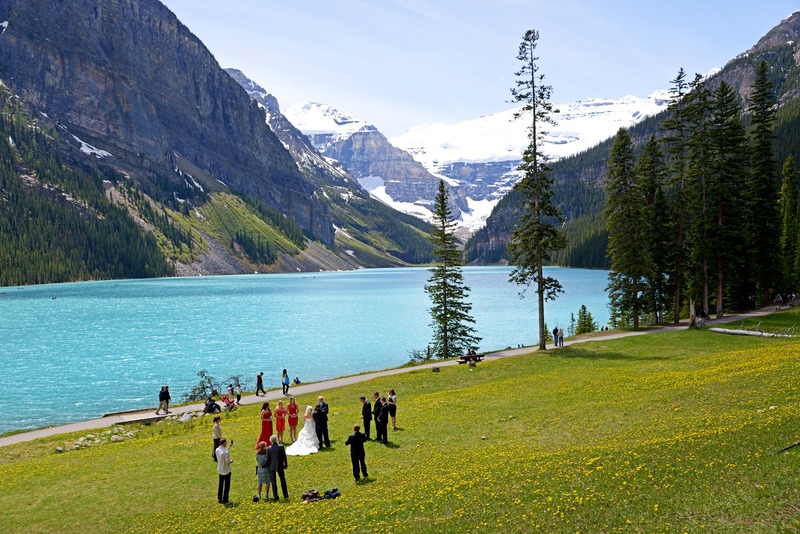 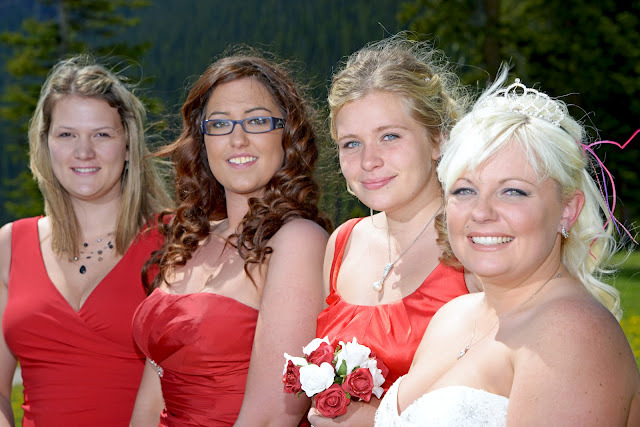 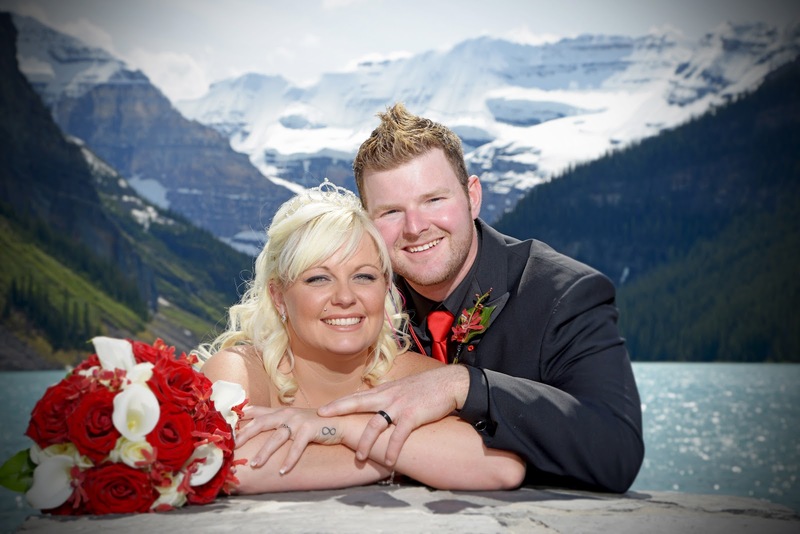 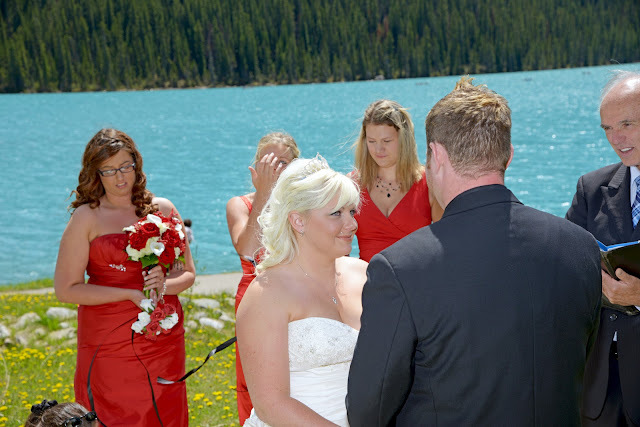 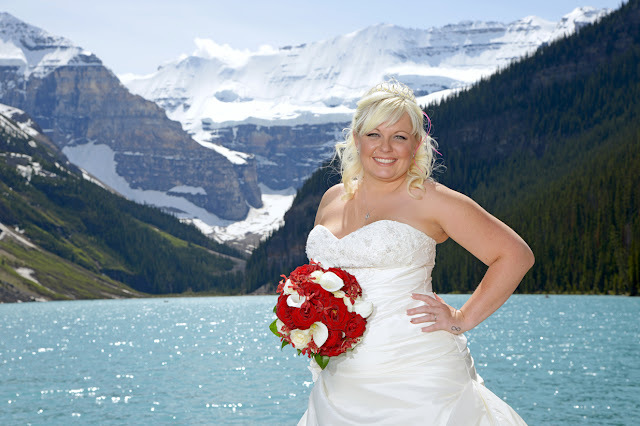 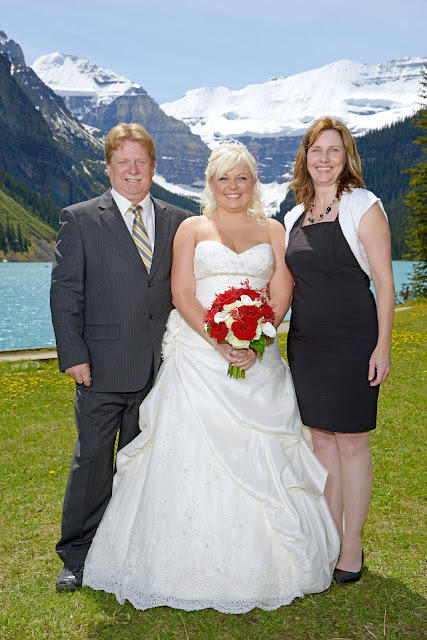 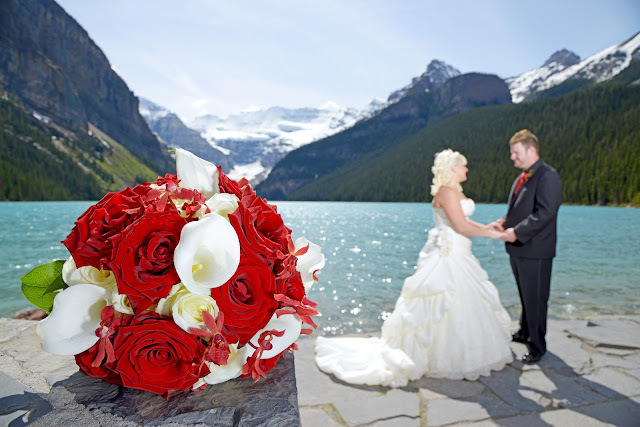 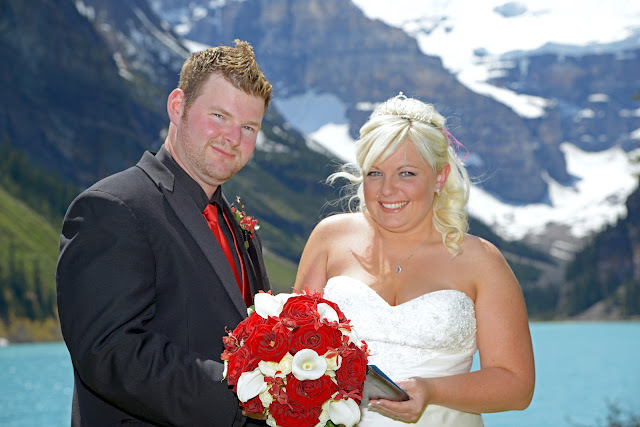 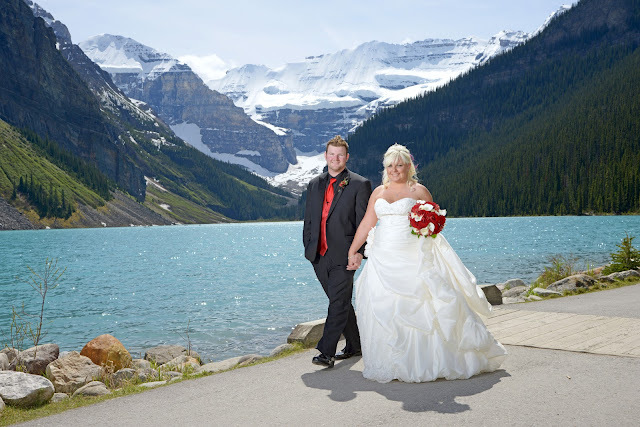 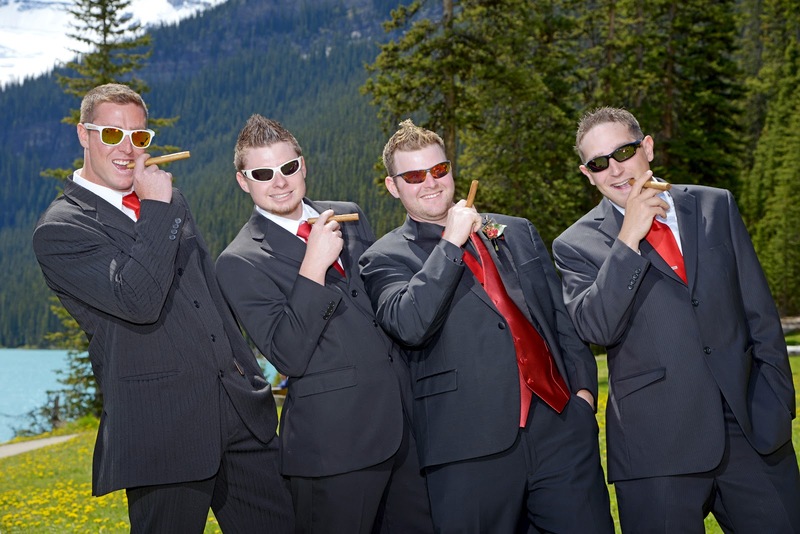 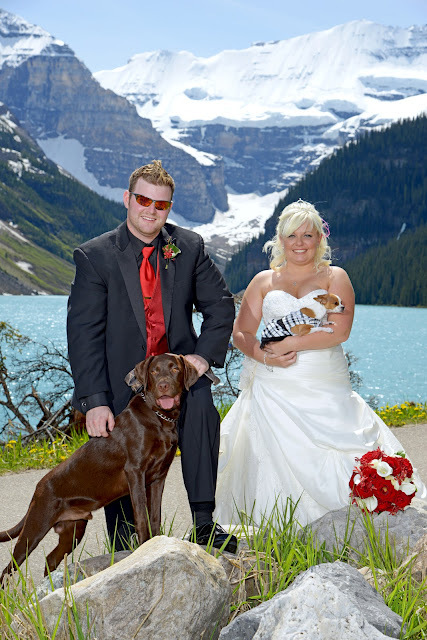 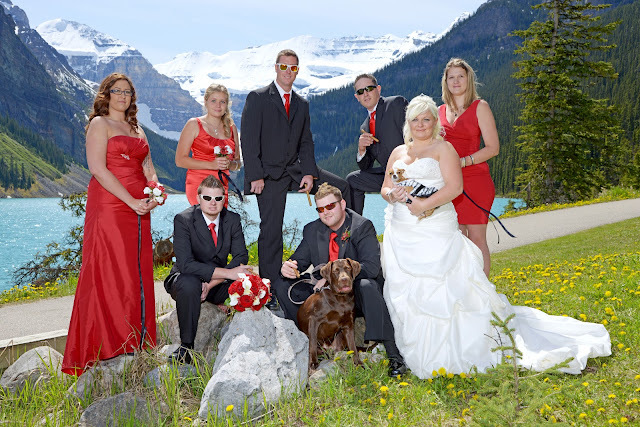 It was the perfect day at Lake Louise for an outdoor ceremony. 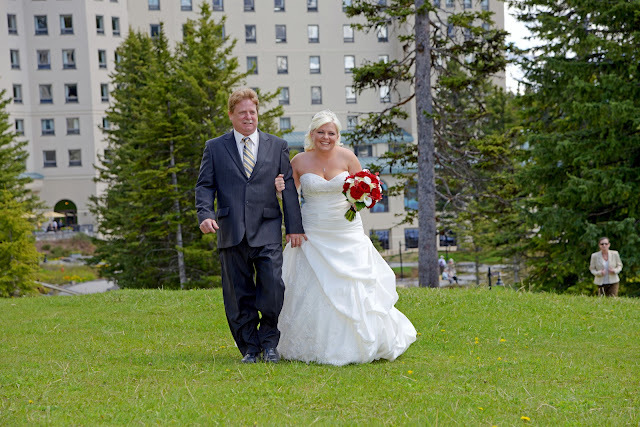 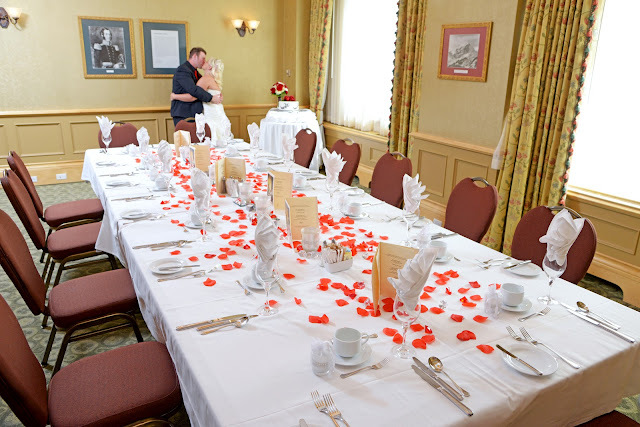 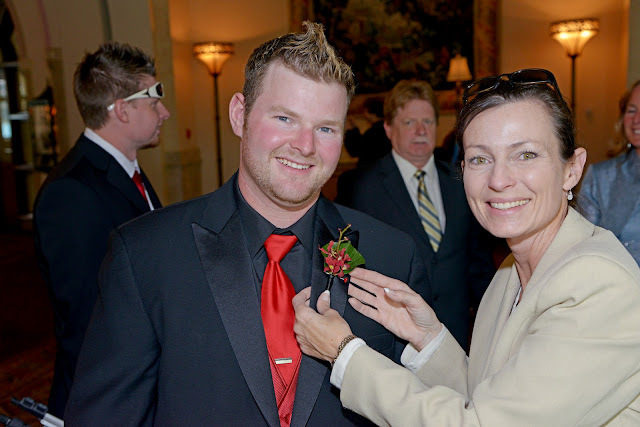 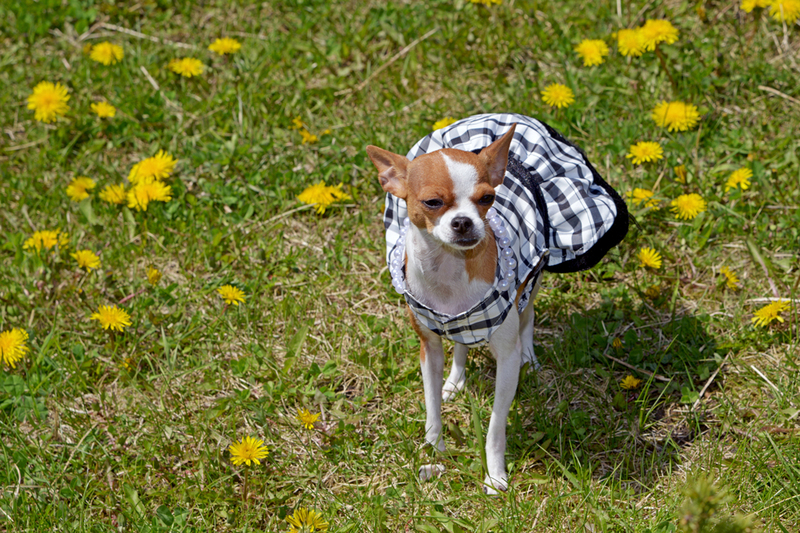 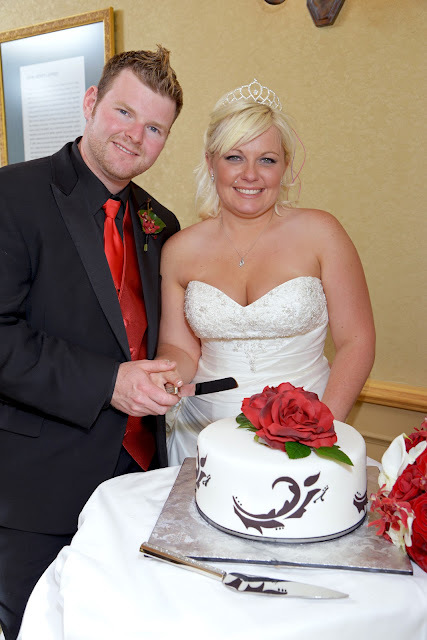 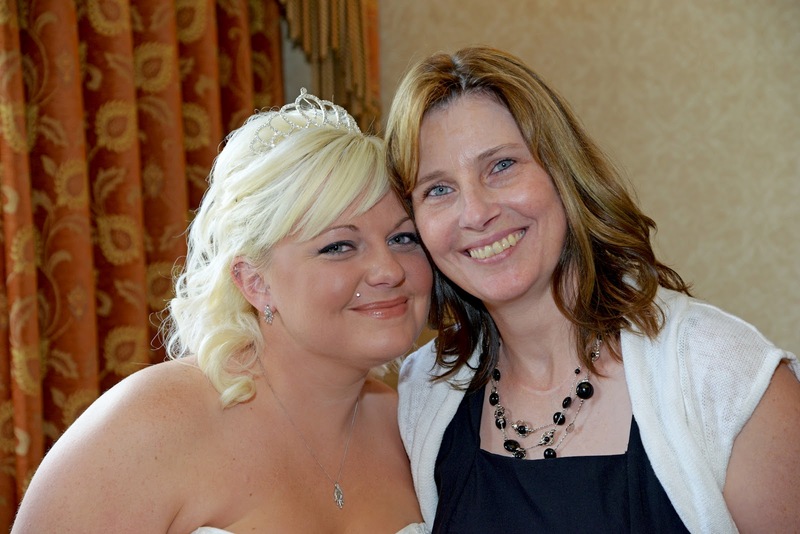 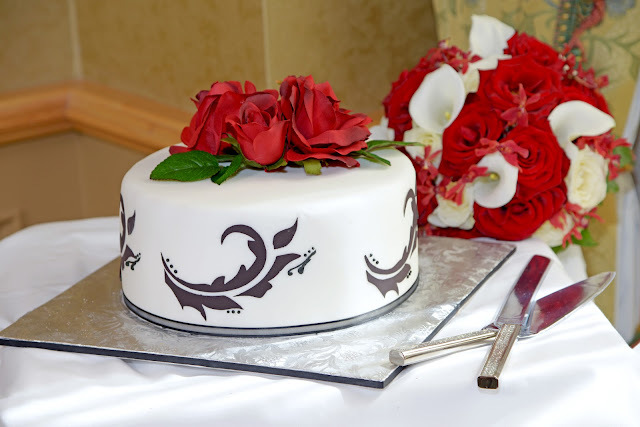 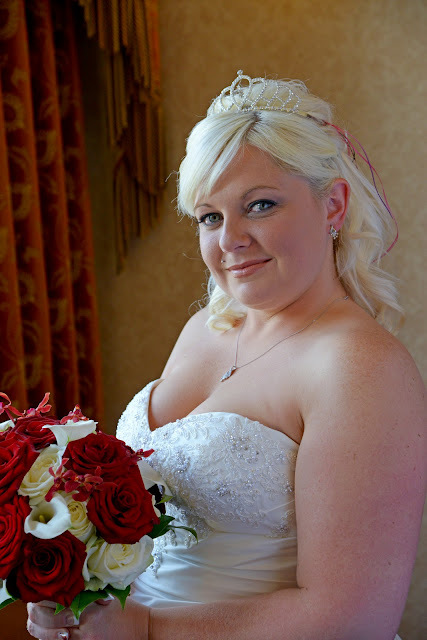 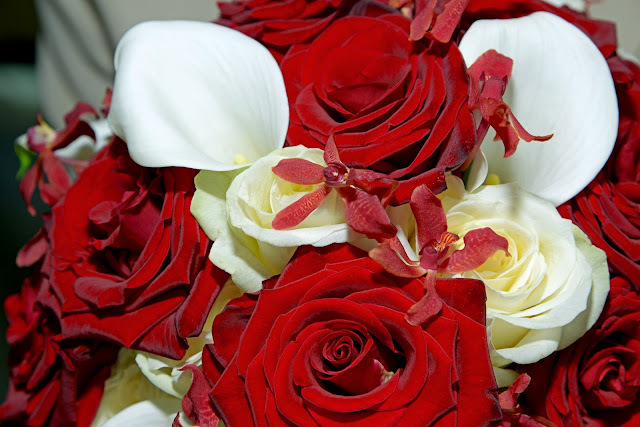 Wedding Planner Sharon Carmichael put the details of the day together for Cynthia & Cory. 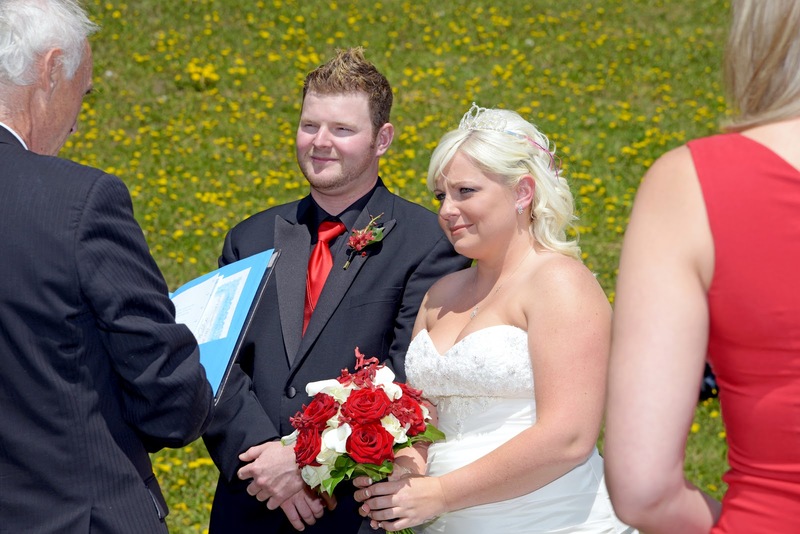 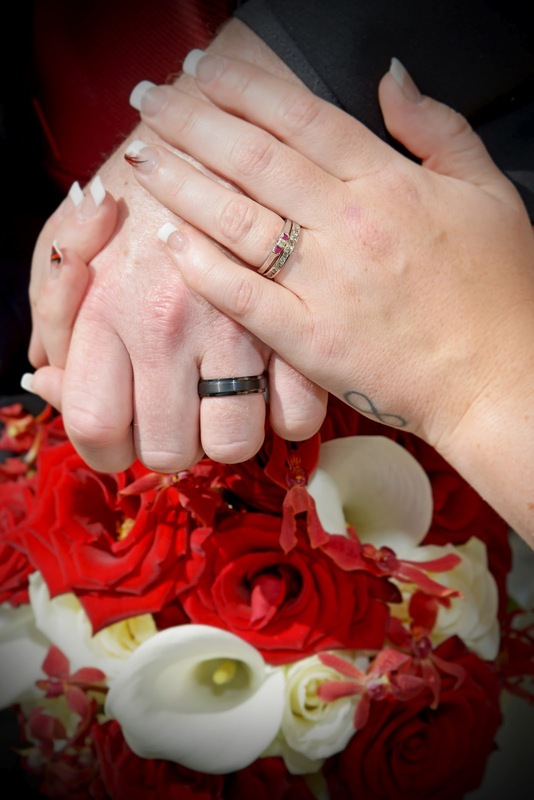 Local marriage commissioner Rob White performed a beautiful wedding ceremony. 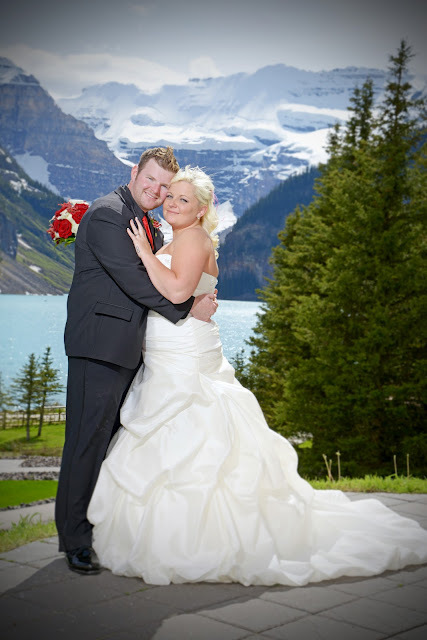 Congratuations to Cynthia & Cory!